Oliver who celebrated his 18th birthday in January is a very talented bocce player. He has a quiet personality but loves being involved in sport and looks forward to meeting his friends at his various sports clubs. Oliver has had to overcome many challenges throughout his life and his family and the Lisbrun 2gether Club are extremely proud to see him progress through the Special Olympics. Oliver had never been away from home and it was a big decision for his family to let him go to the 2010 National Games in Limerick where he spent a week with bocce coaches and athletes in the University of Limerick campus. An even bigger decision had to be made by Oliver’s family when he was selected to go to the World Games in Athens. Again Oliver stayed with the athletes and coaches but this time they were from all over the world. Oliver’s family travelled to Athens to support him and were bursting with pride when he won a Gold Medal. 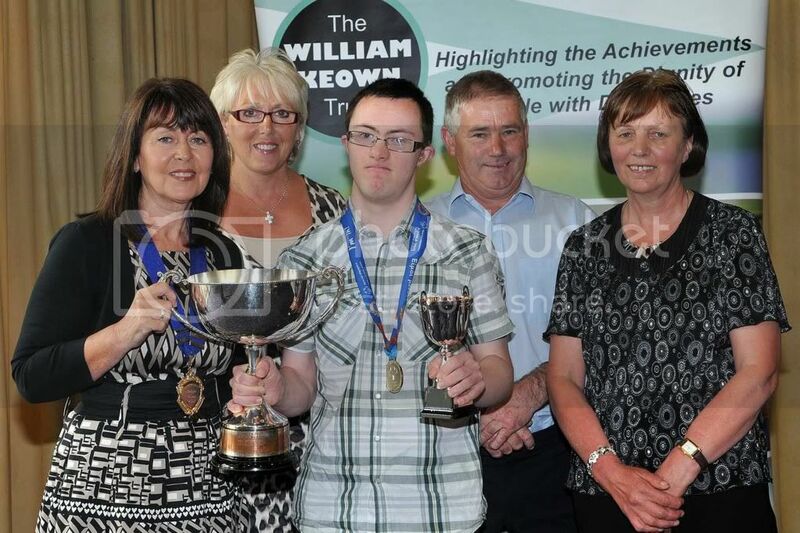 Oliver has always been a keen sportsman and Lisburn 2tgoether Special Olympics Club gives him the opportunity to be part of a team and to show off his skills. Oliver enjoys following GAA and when not focused on sport he likes to relax by listening to music or watching comedies on television. Joining Lisburn 2together Special Olympics Club has changed Oliver’s life and gives him the opportunity to participate and excel in his chosen sports.